The test drive is a crucial part of the car buying process. Used or new, you need to know what a car is like out on the road before you part with your cash. Listening to a salesperson’s spiel is one thing, but nothing compares to actually hitting the open road in what may or may not be the car of your dreams. Test drives can often be brief, so it’s important to spend as much time testing as you do driving. Our ultimate checklist for test driving a vehicle will help you get the most out of any test drive. Even though it isn’t yours yet, you will need to ensure that the car you’re test driving is covered by your existing insurance policy. The majority of dealers will automatically cover you on their own insurance, but you should be certain to look into it beforehand. This is especially important if you’re buying from a private seller, in which case it will be far more likely that the insurance will have to come from your side. Either way, you don’t want to run the risk of a hefty bill if the worst comes to worst during a test drive. As insurance provider Cuvva points out, whilst existing car insurance may potentially give you third party cover on certain vehicles, many sellers will only accept more comprehensive cover. 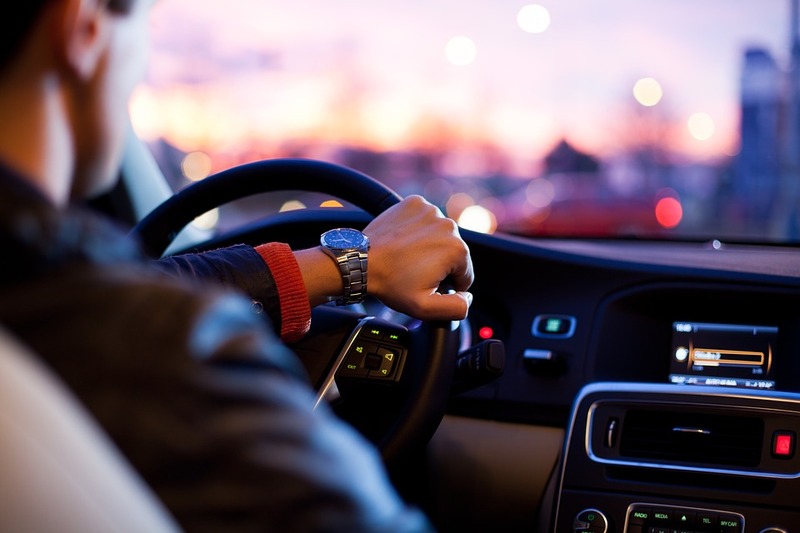 This is why many providers instead recommended drive away insurance, which temporarily insures drivers when they are test driving cars, as well as when they are driving them away after purchase. Once you’re in the car, it can be tempting to put the key in and get going right away. But first, it’s essential to see if it feels comfortable. Some car models have notoriously uncomfortable seats, and you will soon regret buying it if yours falls into this category. So take a moment to move the seat to the most comfortable position possible before you set off, so you can see it feels right. When you’re finally on the road, pay close attention to the weight of the steering wheel and the pedals. Some vehicles have offset pedals that can make driving uncomfortable, which could again put you off the car. For many, this is the most important part of any test drive. It would be extremely frustrating to buy a car that does not perform as expected, so assessing the car’s steering and handling is imperative. Ask yourself whether the wheels turn as soon as you turn the steering wheel, or if there is a slight lag. Similarly, when turning a corner, do you feel too much body roll for your liking, or is it a smooth movement? If you get the opportunity to try it without a vehicle behind you, slam on the brakes to see how cleanly the car stops. If it pulls to one side slightly, this could be an indication that the brakes aren’t functioning properly. Do bear in mind that it’s not your car yet, though, so be sure to treat it with care and respect. You should also assess how the vehicle performs in different conditions, whether on motorways, up hills, in the countryside or whilst parking. This will give you the best overall assessment of how well the vehicle works. As well as the factors already listed, you should also pay attention to whether or not the clutch, gear stick and suspension are working properly, and if the car starts without any hiccups. Some of these might sound obvious, but you’ll be kicking yourself if you forget to check them during your test drive. Spend some time checking out the car’s gadgets, which can be costly to fix if faulty. For more high-tech cars, check that features like Bluetooth connectivity, exterior cameras and heated seats work as they should. Don’t neglect the more basic electrical features like the radio and the air conditioning either. Once you get on the road, pay close attention to everything you can hear. Does the engine sound smooth or rough and noisy? If it’s the latter, it could be a sign that it’s in bad condition. Listen out for gravelly acceleration, or knocking noises that suggest suspension damage, as well as any other unexpected sounds that could point to an issue. It’s also a good idea to keep an ear open when you close the car door to determine whether there are any rattling sounds that could hint at another problem. There’s no point buying a car that isn’t big enough to accommodate your lifestyle, whether that relates to dogs, prams or bikes. Likewise, make sure you will have enough space for your regular passengers, especially if you will need to install a baby seat. If you really want to be thorough, bring your child’s car seat along with you and see for yourself if it fits in. And if you trust them not to make a mess in a car you haven’t bought yet, you could even bring your kids along too. Follow the steps above to get the most out of your test drive and ensure you’re getting what you pay for when purchasing a new vehicle.